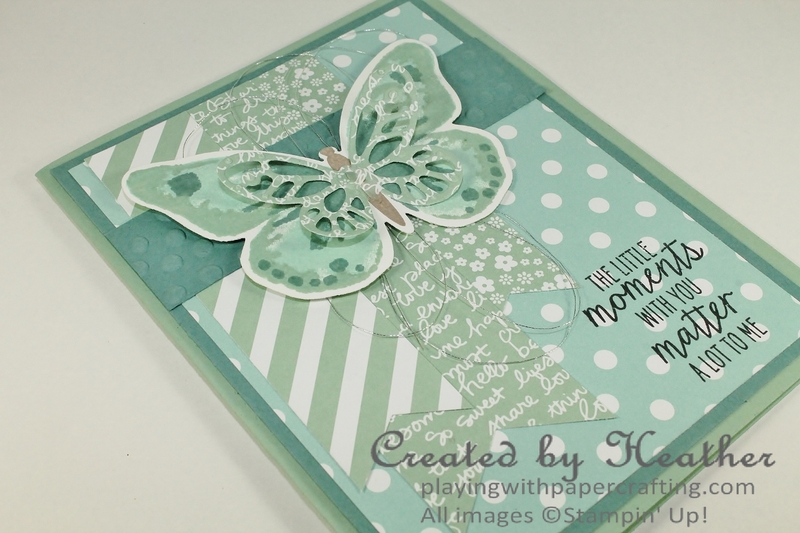 The butterfly consists of 3 different coordinating stamps which you can use to create this beautiful image. I stamped the first image in Pool Party. It's the large almost solid image base. The outer edge of the wings is stamped with a second stamp in Mint Macaron. Since the stamps are Photopolymer and totally see-through, it is fairly easy to place the stamp properly. You just have to take your time and look straight down onto the block. The center splotch and the spots were stamped with the third stamp in Lost Lagoon. Then I added the body in Tip Top Taupe. Just google Watercolour Wings and you'll see so many different and beautiful colour combinations. The image was then die cut using the new Bold Butterfly Framelits, and a smaller butterfly die cut from the Mint Macaron script design from the In Colour Collection Designer Series Paper Stack. You can get both the stamp set and the framelits in a bundle and save 15%. 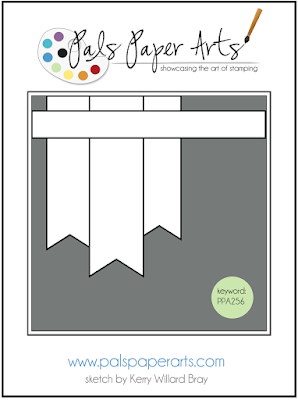 I also used those same designer papers to make the 3 banners using the Triple Banner Punch. The background DSP is from the new Schoolhouse collection in Pool Party. 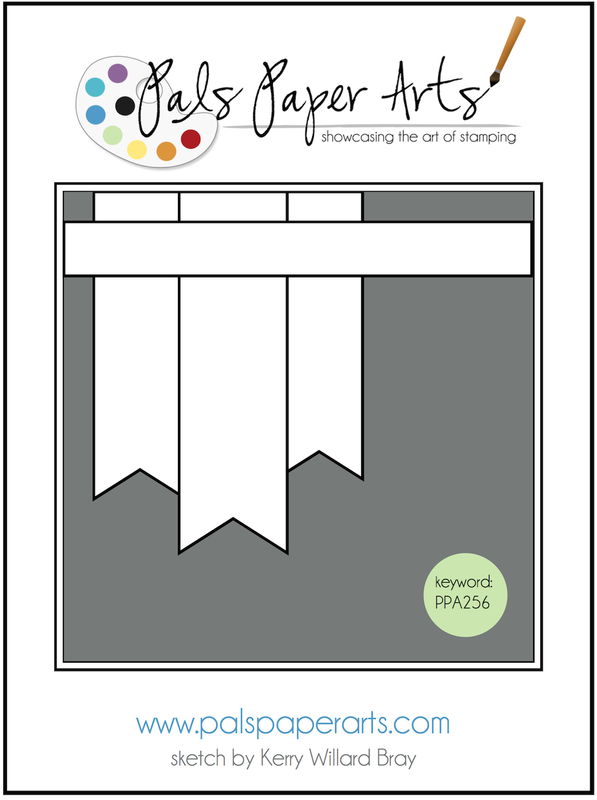 This is a series of primary colour designs that would work well with kids' cards. 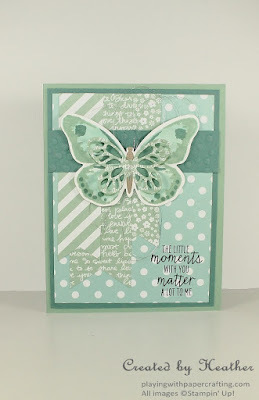 Notice the new Silver Metallic Thread behind the butterfly! 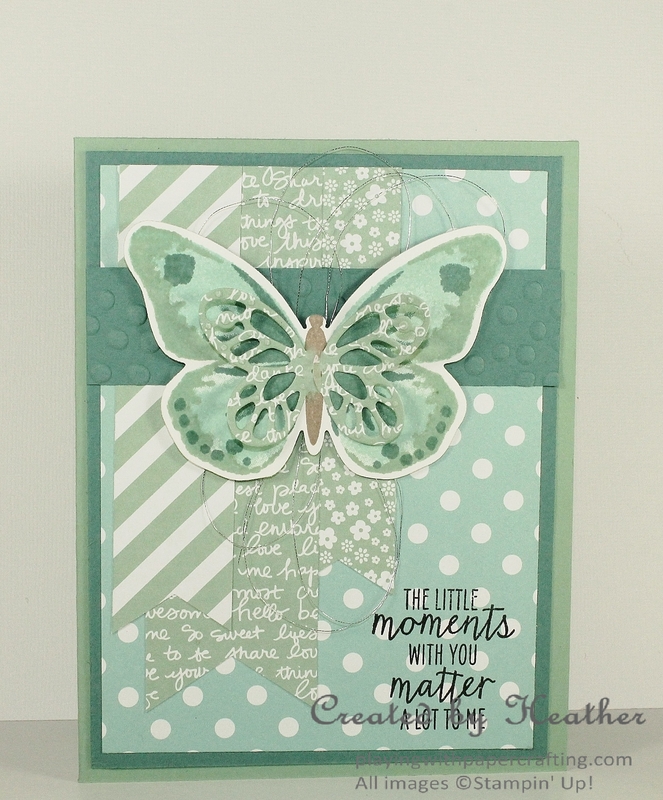 I cut a length about 20 inches and looped it, securing it on a Stampin' Dimensional on the back of the butterfly. 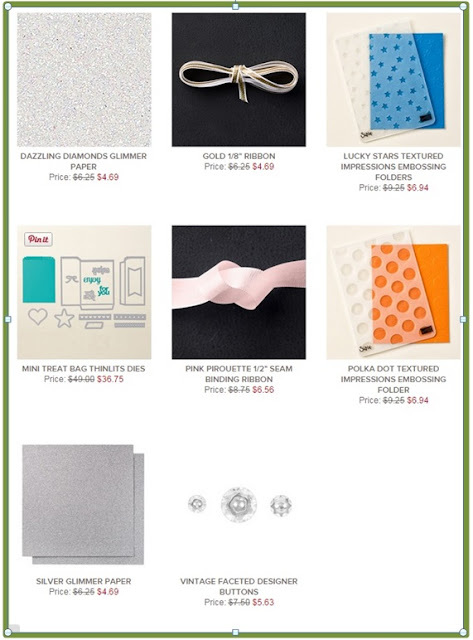 It's a very pretty embellishment for any card and it comes in Gold as well.